In our recent series, we covered our three-pronged approach to improving indoor air quality. (In case you missed it, this includes a combination of proper ventilation, filtration and use of a PHI generator.) But there is a fourth prong, and it has nothing to do with air conditioning. It consists entirely of things that you can do without the help of a professional, and one of them is adding some live greenery to your interior décor. The first is through photosynthesis, a process in which they absorb carbon dioxide and ultimately release oxygen into the air. 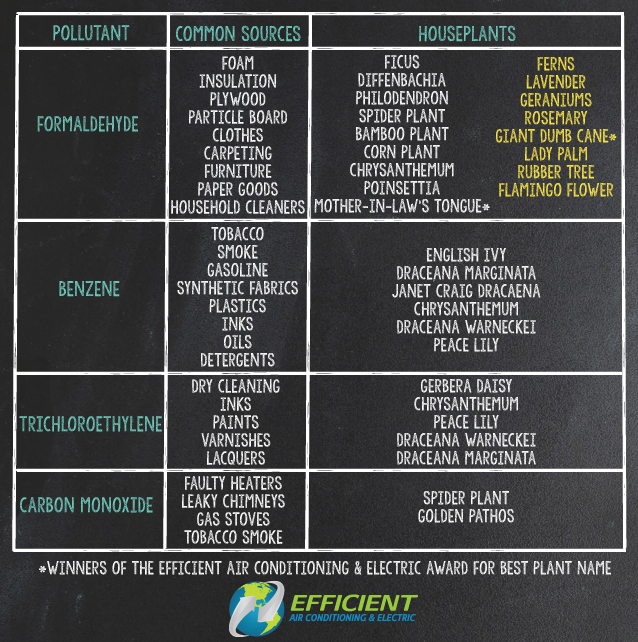 Plants can also absorb toxic chemicals, and once they do, they can either 1) break them down into harmless byproducts, which they can then release into the air, or 2) absorb them into their tissues. Either way, they are filtered out of the air you breathe. NASA researchers began exploring the potential benefits of houseplants on indoor air quality because there is no air exchange in space capsules, which means that the air inside the capsule is never exchanged for new air (because there is no new air available in space). For this reason, the air inside space capsules can become polluted with volatile organic compounds (VOCs), and other chemicals from the materials used to manufacture its interior. Similar contamination issues can occur in homes and buildings with insufficient indoor-outdoor air exchange. The NASA study showed that houseplants with low light requirements can help improve indoor air quality in indoor environments. The authors noted that the root-soil area seemed to remove VOCs most efficiently, so you’ll receive the greatest filtration benefit from your houseplants if you expose that area to as much air as possible. Keep in mind that this list is just a sampling. Research in this area has continued, and other plants have also proven effective at helping to detoxify indoor air. In the October 2010 issue of the Journal American Society for Horticultural Science, a study was published that tested the ability of 86 plants to remove airborne formaldehyde. Seven of the study’s top 9 performers were ferns, including the highest performer. However, all the plants tested demonstrated some ability to remove formaldehyde. The study’s top performers are listed in yellow in the above table. 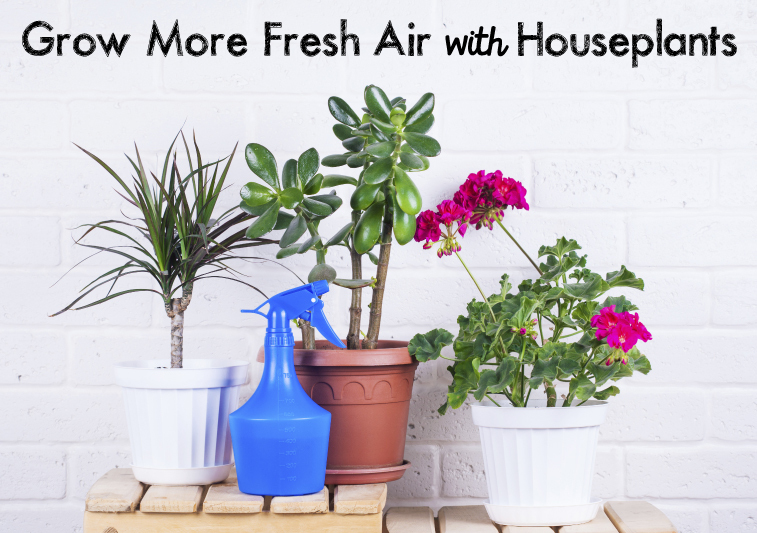 Incorporating plants into your home is relatively easy (on your wallet and your eyes) and a great way to complement your HVAC system’s efforts to keep your indoor air as clean as possible. If you’d like more information about how we can help you improve your indoor air quality, please call us at 512-501-2275. If you’d like more information about houseplants, we recommend some Google-Fu and then a trip to a local nursery.